Meet some of the most important people in our movement. These folks all have experienced the injustice within our oppressive systems first-hand, and have used these experiences to build power within themselves and their larger community. We are honored to work with these community members and we hope you can join us to celebrate them at our Nov. 13 Social Justice Awards Dinner. Violeta Sialer focused on her family, her work as a school bus driver and her church, until unjust treatment by her landlord sparked political passion in her. Her property manager harassed her with multiple eviction threats, including one because she was living with an “unauthorized occupant” - her son in high school. Violeta took action and connected with Washington CAN. She didn’t just try to help her own family. Instead, she door-knocked her neighbors and organized the Rose Crest Tenants Association to fight back against unjust treatment. Her landlord recently signed a new lease with both her and her son and has stopped targeting her with eviction threats. 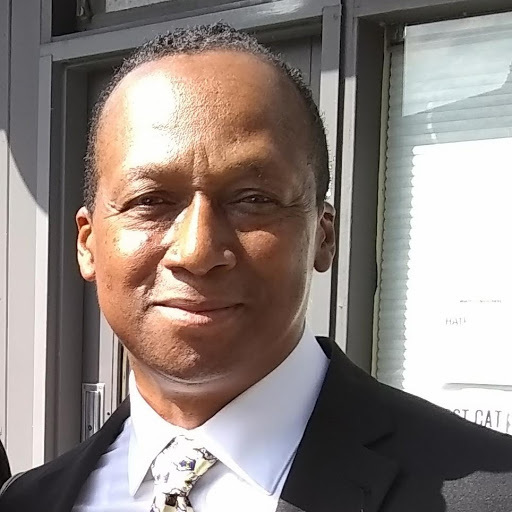 Waldo Waldron-Ramsey II joined Washington CAN in March to fight for a Community Review Board, just days after serving a 33-year prison sentence. While incarcerated, Waldo studied the law in an effort to clear his name and used that knowledge to help fellow incarcerated people with their cases. He also organized Undoing Racism trainings, established two educational programs and served in leadership in several prisoner advocacy groups. Since his release he organizes Tacoma members for a Community Review board, serves on the Board of Directors of Fabian’s Fund, and serves as Chair of the Criminal Justice Committee for the Seattle/King County NAACP. Sarah Stewart lives with degenerative illness. Because of Seattle Housing Authority's unfair practices, she fell behind on her rent and eventually became homeless due to eviction. Even in the midst of this very difficult situation, Sarah stepped up to confront injustice. She joined Washington CAN to pressure the SHA to change their policies so people like her do not face the same fate. Now, because of Sarah’s efforts, SHA has agreed to stop charging tenants attorney’s fees, limited court costs, and make other reforms to their practices. When we first met Martha Martinez she was feeling isolated because she faced discrimination from her landlord -- getting threats of eviction and harassment that was related to her background. But after sharing her story and meeting with other tenants, Martha found strength in community. She helped Washington CAN organize meetings by reaching out to her neighbors, friends and family. She not only consistently supports community work, but she helps build it from the ground up. 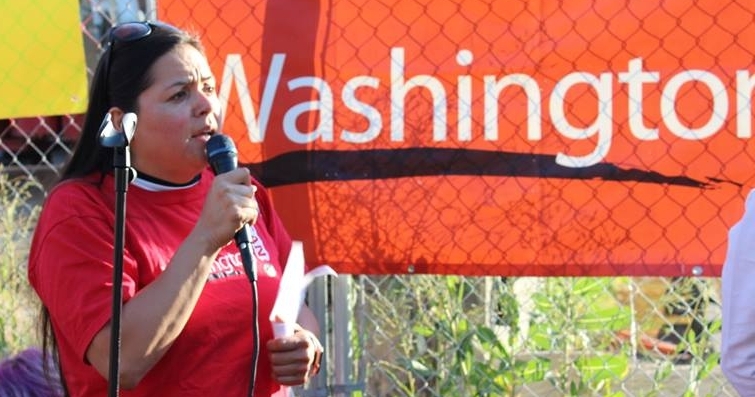 She is a steadfast and fearless advocate for housing justice and immigrant protections. When we met Tyquencia Bennett in 2017 she was dealing with the fallout from a landlord who didn’t care to make the property a habitable home. When she and her baby, Quenci, moved in, the unit was unfinished with nails scattered on the floor. While up against a landlord who was dismissive of her family’s safety, she joined Washington CAN with passion and enthusiasm. She brought out friends and family and courage, speaking in front of city and state lawmakers about why Washington needs stronger tenant protections. We are honored Ty brings her wonderful son, Quenci, to every protest. 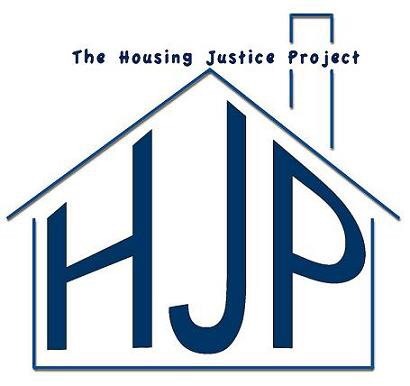 The Housing Justice Project is recognized by Washington CAN for their extensive work in support of the movement: Leaders in their organization worked for months on policy research, while providing free legal services to low-income tenants at Washington CAN community meetings. Washington CAN will be hosting our first-ever dinner Nov. 13 for our annual social justice awards, featuring headliner Nina Turner, president of Our Revolution, political analyst and a former Ohio State Senator. We have limited tickets available so register today! This event is accessible through light rail or bus lines. Parking available at hotel for $8. Want to be a sponsor? Have questions? Contact our executive Director, Mary Le Nguyen at: mlnguyen.wcan@gmail.com. with Nina prior to the Awards Dinner. Reserve your seat or table today as tickets are going fast! Nina Turner is a committed to advocating for progressive ideals and values, a vocation she views as bigger than political affiliation. Most recently a national surrogate for Senator Bernie Sanders (I-VT) during the turbulent 2016 Democratic presidential primaries, Nina Turner is an insightful advocate and agent for social change. Today, she serves as president of Our Revolution, an organization that Sanders created to revitalize American democracy, empower progressive leaders and elevate political consciousness. We look forward to seeing you there! If you want VIP tickets for a longer conversation with Nina Turner, sign up fast! Tenant advocates are celebrating a major win Friday after King County Superior Court ruled in favor of Seattle’s Move-in Fee legislation, which requires landlords to accept payment plans for move-in costs like security deposits. Background: Seattle’s Move-In Fee legislation was passed unanimously by Seattle City Council in 2016. The policy capped the move-in costs landlords could charge tenants and requires landlords to accept payment plans for these fees. The Rental Housing Association of Washington filed a lawsuit against the city over the policy in 2017.